Many aspects of a person’s life can influence their parenting style. The way an adult was parented, as well as parenting books and other guides, are a few factors. A parent’s unique fears and hopes for their child are another major influence. Cultural factors, such as gender roles, the community in which the family lives, religion, politics, socioeconomic status, and ethnic norms also play a role. When parenting styles clash, children get inconsistent messages from their parents. This can cause confusion in children about how to act and what to expect in response to their behavior. Differences in parenting style may also increase conflict in a relationship. Parenting can be difficult and time-consuming even when parents agree. When they don’t, parenting approaches can be a source of near-constant bickering. It is possible for parents to get along and send a consistent message to children even when their styles conflict. In fact, different parenting styles can even complement one another. Parenting style has two main components. One is the degree of control a parent attempts to exert over the child. The other is the amount of warmth and affection a parent shows. Authoritarian. These parents are strict and exert high levels of control over their kids. They may show little warmth. An authoritarian parent might respond to a child having a tantrum with punishment or yelling. They would not likely wish to understand why the child had the tantrum or address the child’s feelings about it. Authoritative. Authoritative parents are relatively strict and enforce the rules they make. They also display affection for their kids. An authoritative parent might respond to a tantrum by setting clear boundaries about what is and is not acceptable. They may then remove the child from the situation that triggered the tantrum. Authoritative parents are more likely to discuss why the child had the tantrum and to be concerned about a child’s intense emotions. Permissive. These parents show plenty of love and affection but enforce few boundaries. A permissive parent might not respond to a tantrum at all. Alternatively, they might respond by giving the child a gift or otherwise appeasing them. Uninvolved or neglectful. Neglectful parents don’t enforce clear rules. They may display little or no interest in the child. An uninvolved parent might not notice a tantrum or be somewhere else when a tantrum occurs. Most research shows authoritative parenting is the most effective parenting style. 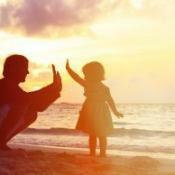 Authoritative parenting blends respect for the child with attention to social norms. Authoritarian parenting, by contrast, may produce children who are too obedient. These children may need to be told what to do often once they are adults. Some research links authoritarian parenting with an increased risk of problem behavior. One such behavior is substance abuse. Permissive parents may support good self-esteem. But the lack of boundaries may also increase the risk of problem behavior. Children who are not highly self-motivated may struggle in school. Parents who try to appease children who show bad behavior may also encourage future misbehavior. Neglectful parenting can be harmful. It may produce children who have little support and a weak understanding of social norms. They may struggle to know how to behave, learn, or interact with others. Parenting style may shift and change. Parents who know their current style can incorporate qualities that lend balance to their approach. For example, a parent who realizes they are uninvolved may focus on learning how to be more engaged in their child’s life. Any difference in parenting style can lead to conflict. Even two parents who share a similar style may argue. For instance, two authoritative parents may agree on the importance of rules and affection. But they may disagree about what this means. Are time-outs acceptable? At what points should a child be rewarded or punished? Which behaviors are forbidden? Disagreements can make it difficult to present a united front. They may even lead to problem behavior in children. Authoritarian vs. Authoritative. These parents may disagree about how much affection to give. They may argue over whether to punish a child, when, and how severe the punishment should be. These parents may also disagree about whether to give rewards for good behavior. Authoritative vs. Permissive. Permissive and authoritative parents may agree about the need for love and affection. But they may have strong disagreements about which rules to enforce and how to enforce them. Permissive vs. Uninvolved. Permissive parents want to give their children a lot of love. Uninvolved parents may want few or no substantive interactions with their children. This may cause the permissive parent to feel overwhelmed by the amount of care they must provide. Authoritarian vs. Permissive. Authoritarian and permissive parents may disagree over when and whether to punish children. Permissive parents might even view authoritarian parents as abusive. Meanwhile, authoritarian parents may see permissive parents as neglectful. Authoritative vs. Uninvolved. Authoritative parenting is high-effort parenting. It offers significant guidance and much affection. Uninvolved parents may prefer to stay on the sidelines. Parents who differ in this way could encounter ongoing conflicts. Differences in parenting style are just one point of conflict for parents. Cultural values, beliefs about social norms, or political views may lead to major parenting disagreements. For instance, some parents see spanking as a form of abuse. Others see it as necessary discipline. Explore how your parenting styles complement each other. For instance, a permissive parent may help an authoritarian parent be more affectionate. Meanwhile, an authoritarian parent may support a permissive parent in setting boundaries. Develop a set of family rules on which everyone can agree. These include rules for the children as well as rules about how to discipline them. Two parents might agree that spanking is never acceptable. They may decide children must lose privileges or face another penalty if they hit others. Don’t undermine one another. Parents must present a united front. 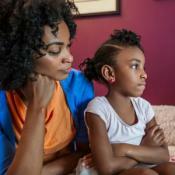 Unless a child is in danger—such as from a parent who is berating or injuring them—it is best to discuss conflicts later. Support your partner’s parenting decisions even when they are not ones you would have made. Learn about parenting together. Read parenting books and discuss them, or join a parenting support group. Select parenting experts you both trust. When other strategies don’t work, family counseling can help. It may allow family members to better understand each other. It can also help with challenging child behavior. In addition, parents may benefit from couples therapy. This can teach couples what underlies their parenting style clashes and how to bridge the gap.